Sea Shield is known among the medical community as a leader in creating health-friendly, medical grade technology products for both hospitals and the home. There newest development is the Silver Storm Mouse. While it’s dubbed the Silver Storm, the mouse comes only in black and white, with the USB mouse connector plated in 24 karat gold. However, all in-congruences in the name aside, this waterproof mouse is certainly a step forward in preventative care against infection. The Korea Consumer Protection Board found in a study last year that a typical computer mouse is going to have at least two times as many germs as the handles and doorknobs found in most public bathrooms. Sea Shield helps in the war against germs with the fact that the company’s product is actually dishwasher safe. This waterproof mouse is fully submersible, as well as fully rechargeable. It does not take any batteries of any kind. It can hold a charge for about a week, and then it is quickly powered back up with a USB quick charge station. The antimicrobial mouse employs a protective coating that is applied to the device to make it easier to clean and less germ-friendly. I must admit that I had some reservations at first about this device—the same kind of reservations as anyone might have to throw $70 through a dishwashing cycle. Everything we’ve ever been told about electronics and peripherals is to keep them as far away from water as possible. But check this out; the Sea Shield Silver Storm mouse comes with a two year limited warranty and the offer of an extended warranty as well. Sea Shield also has washable remote controls and keyboards in the works. Together, these USB devices are versatile for both the home and medical office environment. We’re so accustomed to these gadgets harboring germs, that it’s nice to have some sort of peace of mind. This patent-pending innovation is going to run approximately $70 and will be shipping out in the early fall of this year. 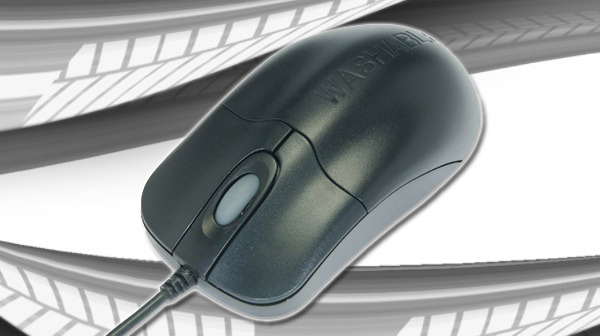 Would you use an antimicrobial USB mouse? Or do you think too much of a good thing is actually bad when trying to ward off germs? This entry was posted in Articles, Sea Shield, Silver Storm USB Mouse, USB Devices, USB Gadgets, USB Tethering and tagged antimicrobial USB mouse, Korea Consumer Protection Board, medical grade technology products, Sea Shield, Sea Shiled Silver Storm USB Mouse, Silver Storm Mouse, Silver Storm USB Mouse, SILVER STORM Washable USB Optical Mouse. Bookmark the permalink.